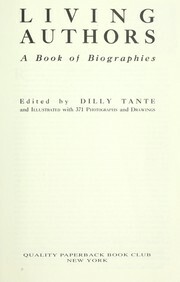 1 edition of A memorial and biographical history of Johnson and Hill coun... found in the catalog. Add another edition? Are you sure you want to remove A memorial and biographical history of Johnson and Hill counties, Texas from your list? 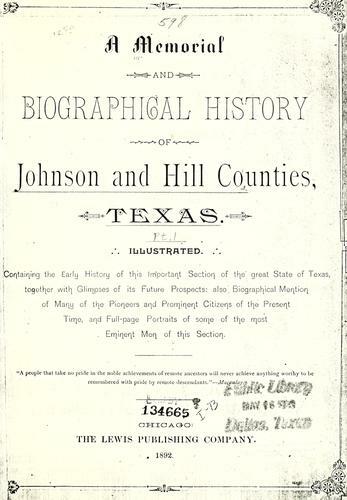 containing the early history of this important section of the great state of Texas together with glimpses of its future prospects; also biographical mention of many of the pioneers and prominent citizens of the present time, and full-page portraits of some of the most eminent men of this section. 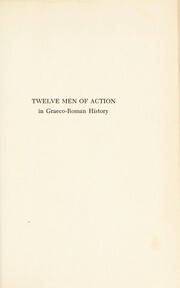 Published 1892 by Lewis Pub. Co. in Chicago . 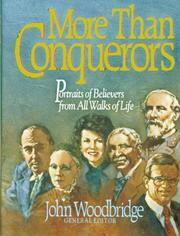 Cover title: The Lone Star State. 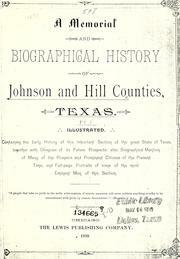 Spine title: Johnson and Hill Counties, Texas, illustrated. The Lone star state., Johnson and Hill Counties, Texas. June 1, 2009 Edited by ImportBot Found a matching record from Internet Archive .